On January 11, 2017, the Buffalo Bills named Sean McDermott the 20th head coach in franchise history. McDermott joined the Bills after spending six seasons as the defensive coordinator of the Carolina Panthers. In his first year in Buffalo, McDermott led the Bills to their first playoff berth since 1999 with a 9-7 record. He became the third coach in Bills history to earn a play- off berth in his first season at the helm, joining Joe Collier (1966) and Wade Phillips (1998). The Bills finished 7th in the NFL in turnover differential (+9), 10th in the NFL in fewest penalties (98), and 7th in special teams statistics. The 2017 Bills also won six home games for the first time since 1999. While in Carolina, McDermott developed a top-10 defense in four of his six seasons in charge. Over his six-year tenure, the Panthers defense ranked second in the NFL in sacks (261), third in turnovers forced (169), sixth in rushing yards allowed per game (103.3), ninth in yards per game (339.1) and 12th in points allowed per game (22.1). In his time in Carolina, McDermott helped the Panthers to three division titles and a trip to Super Bowl 50. In 2016, McDermott’s defense put up impressive numbers in multiple categories. The Panthers finished second in the NFL in sacks (47), second in red zone defense (43.64%) and sixth in run defense (91.6). In 2015, McDermott’s defense helped lead the way for the Panthers’ 15-1 regular season and run to Super Bowl 50. The Panthers ranked second in the NFL in yards allowed per play (4.9), sixth in scoring defense (19.3) and total defense (322.9). The defense led the league in interceptions (24), takeaways (39), points off turnovers (148) and turnover differential (+20) and tied a franchise record with four interception return touchdowns. Four of his defenders – LBs Thomas Davis and Luke Kuechly, CB Josh Norman and DT Kawann Short – were named to the Pro Bowl and earned All- Pro honors. since 1996, the defense set a team record with an NFL-low 21 touchdowns allowed. McDermott came to Carolina following 12 seasons with the Philadelphia Eagles. He spent his last two seasons in Philadelphia as defensive coordinator, helping the Eagles to the playoffs in each of those seasons. In 2010, McDermott led one of the league’s youngest defenses to top 10 rankings in takeaways and sacks.  In his first season overseeing the Eagles’ defense in 2009, McDermott was named the NFL’s top defensive coordinator by Pro Football Weekly after his unit ranked third in the NFL with 38 takeaways and 44 sacks. McDermott coached the secondary and linebackers before becoming defensive coordinator, learning under the late Jim Johnson, the Eagles’ legendary defensive coordinator. In 2007, McDermott took over the linebackers after serving as the secondary/safeties coach from 2004-06. Pro Football Hall of Famer Brian Dawkins was a Pro Bowler all three seasons, and fellow safety Michael Lewis joined him in 2004. McDermott worked as the team’s assistant defensive backs coach in 2003 and as the defensive assistant/quality control coach from 2001-02, assisting with linebackers. He joined the organization in 1998 as a scouting administrative coordinator before being promoted to assistant to the head coach in 1999. An All-Atlantic 10 Conference choice at safety for William & Mary as a senior in 1997, McDermott graduated with a degree in finance and began his coaching career as a graduate assistant at his alma mater in 1998. He and his wife Jamie, have three children.